Case (1000 rds)	 28.9¢/rd $289.00 FREE SHIPPING! Fiocchi Rifle Shooting Dynamics line offers reliably performing products for every shooting application, from plinking, to target shooting to hunting. Loaded in the USA utilizing Fiocchi original full metal jacketed, or pointed soft point bullets along with top quality powders and other selected components. 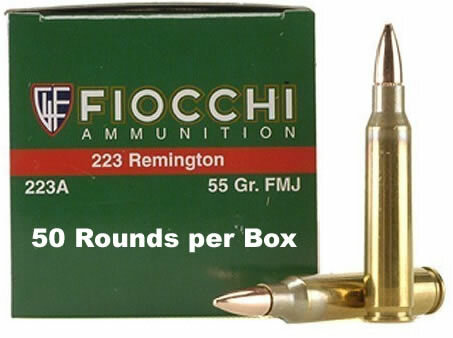 Price and quality for the high volume shooter, this is the aim of the Fiocchi Shooting Dynamics line of products. This is fully reloadable high quality ammunition loaded in brass cases.